Slowly but steadily, the market for electric motorcycles is starting to evolve. 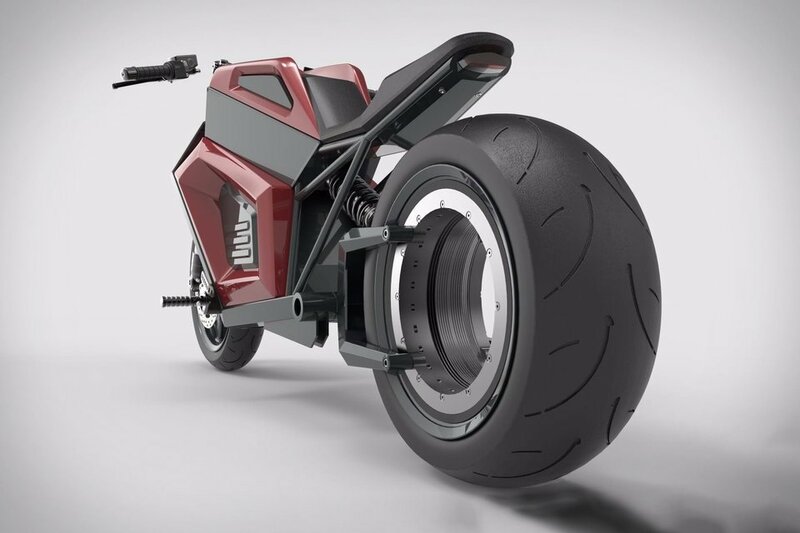 Recently, Harley Davidson became one of the biggest manufacturers to enter the space by announcing their plan to put LiveWire electric motorcycle into production next year. A Finnish startup by the name of RMK wants to disrupt the market by introducing a unique e-bike which has a minimalist design and a claimed range of 120-180 miles on a single charge. Called the E2, the electric motorcycle is going to be unveiled at Helsinki’s MP 19 motorcycle show in February 2019. It will be launched in two versions with different battery sizes, one with a range of 120 miles, while the other one with a bigger battery with a range of 180 miles. The company claims that the battery pack will come with a charging time of 2-3 hours. The electric motor powering the E2 is claimed to produce peak power of 50 kilowatts (67 horsepower), and the torque is rated at 320 Nm (236 lb-ft). According to RMK, the motorcycle will have a top speed of 100mph. In terms of design, the motorcycle looks a little like the Harley LiveWire, with the design language inclining towards futuristic appeal. However, the motorbike’s highlighting feature is its Tron-like hubless rear wheel. The E2 doesn’t use conventional chain or belt drive, but rather the electric motor is integrated into the open wheel. If you want one, you can pre-book it now by paying a fully-refundable amount of €2,000 (roughly US$2330). The starting price of the electric motorcycle will be somewhere near €25,000 (approx. US$29,000).